Like most bloggers (or social media addicts I know), I think I might be a little obsessed with taking photos. It’s not that I’m try to purposefully document my every move. It’s just I’ve fallen into the habit of not being able to resist snapping something I think looks good. Whether it’s food, fashion, or just a nice view! My iPhone is pretty much attached to my hand all the time, and while it takes nice photos, it’s not the highest resolution camera ever for a blogger on the move. So a few weeks back when I was sent the new Nokia Lumia 930 to play around with, I was excited to see how its 20mp camera would perform. Since I’m a bit too much of an iPhone addict to give mine up, I decided the best way of trying out the feature I was most interested in was by using it as a camera.. And the best way to test out a camera? Food photos, obviously. So on my latest trip down to Leeds, I decided to give it a whirl in Byron. 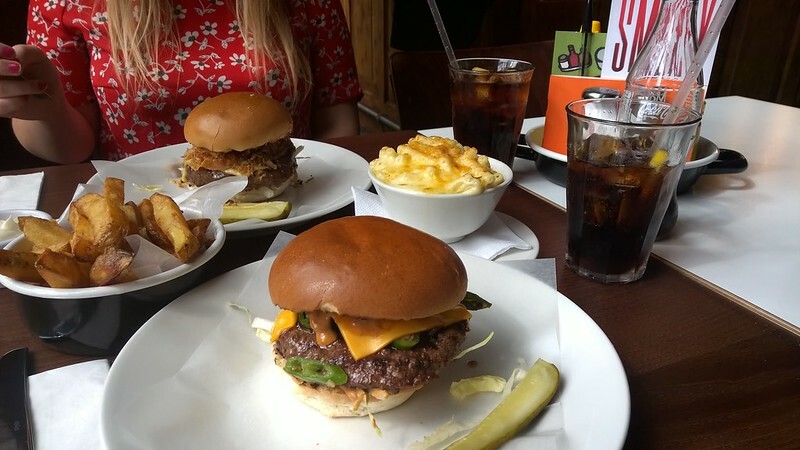 Ok so first things first: burgers. As one of my main clients, I’m pretty committed to Fat Hippo burgers. But in the interest of client research, I decided it high time I tried Byron out. One thing I really like about the brand (beside it’s simplistic ethos and excellent copy thanks to We All Need Words), is the distinct buildings it chooses for its premises. They’re always pretty iconic and resonate well with the city they’re in. So naturally, I was pretty excited to sink my teeth into one of their ‘proper hamburgers’. 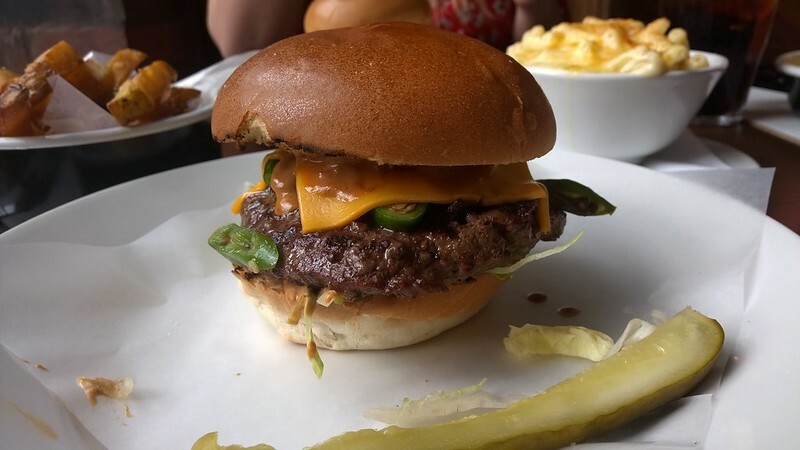 After a lot of mulling over the menu, I settled on the Chilli burger complete with Green chilli, American cheese, shredded iceberg and chipotle mayonnaise. 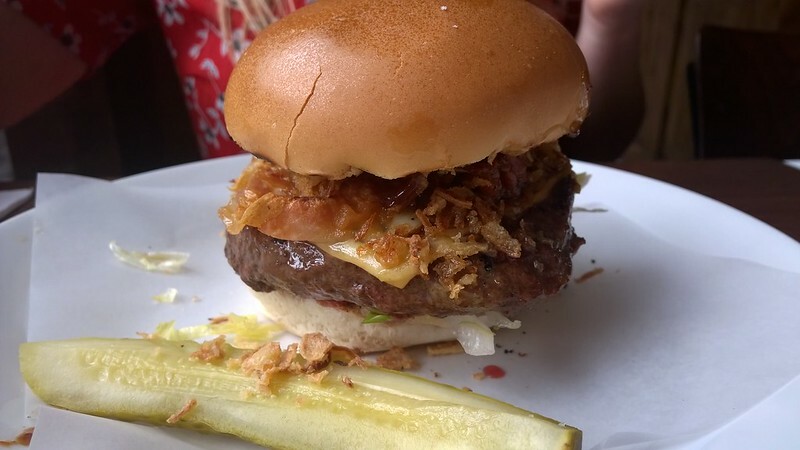 While Kate opted for the Smoky burger served with smoked Cheddar, streaky bacon, crispy fried onions, shredded iceberg, pickles and smoked chilli BBQ sauce. Since we were both pretty famished we greedily ordered the skin on chips and a side of macaroni. After they arrived and I’d managed to take a few quick photos, we dug in! Served pink in the middle, I had pretty high expectations for Byron’s proper hamburgers. Sadly, I felt they fell a little short of the mark. 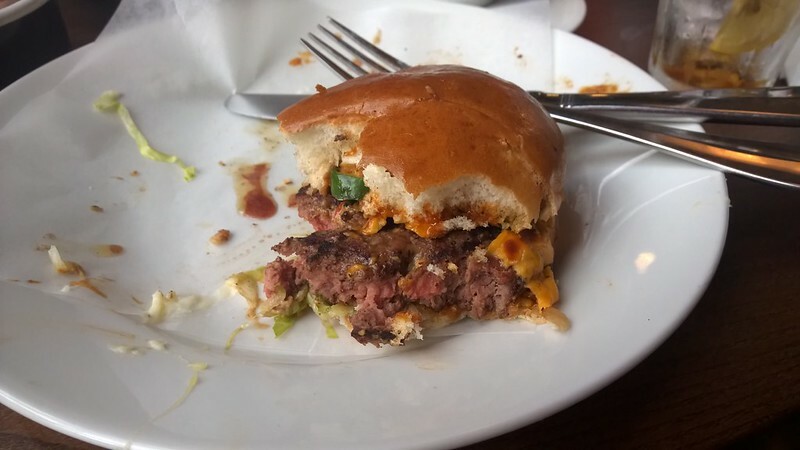 Since I’d opted for the chilli, I expected the juicy flavours of the meat to be accompanied with a bit of a kick. Instead, the meat felt a bit dry and even the chipotle mayo failed to completely perk it up. Kate agreed that despite the size and impressive appearance, her Smoky kinda fell a little short of expectations. The macaroni cheese on the other hand was brilliant. Although, not really what I expected to rate from the experience. Still at least the burgers photographed pretty well. Verdict? 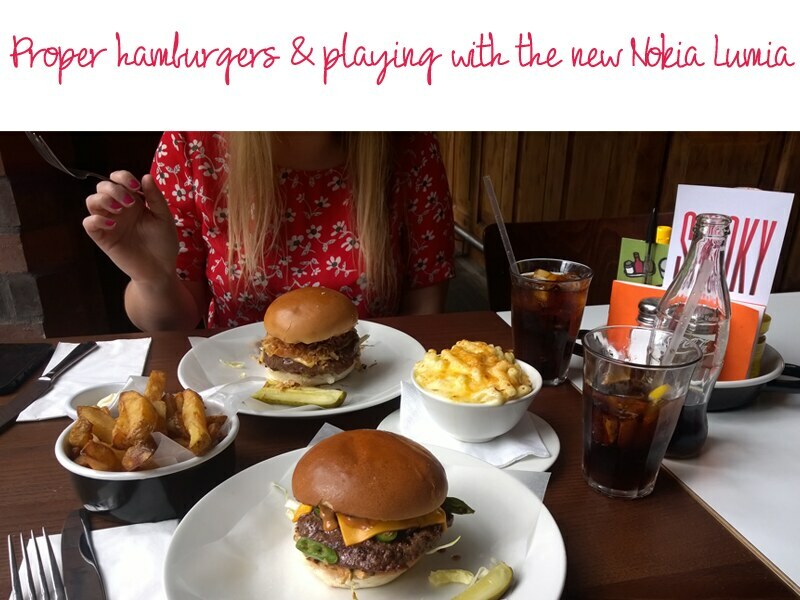 While it’s a little hard to get the hang of at first, the Nokia Lumia 930 is definitely one of the best camera phones on the market for bloggers! And the burgers? Dryer than expected and sadly somewhat lacking in flavour. Since it was my first experience of Byron, it left me a little disappointed and I hope it was just a bad experience. That being said, I’m not sure I’d bother next time. 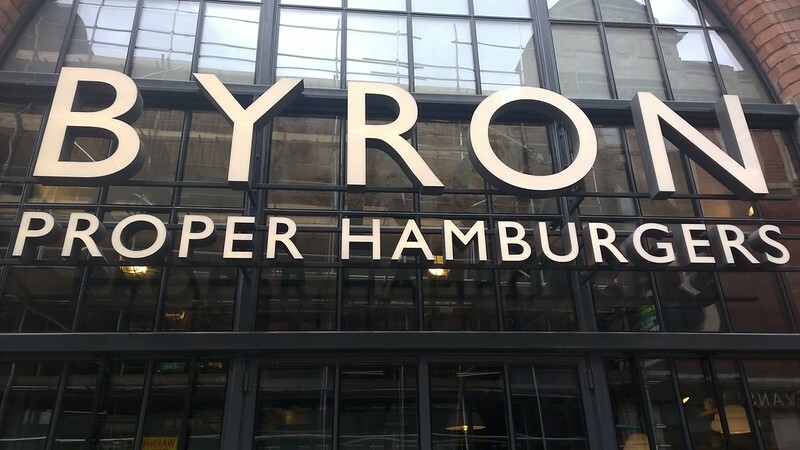 And I think if Byron do make their way up North with their empire, Fat Hippo certainly don’t need to be quaking in their boots just yet.